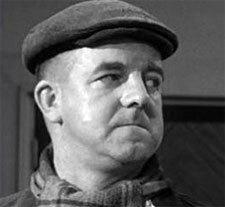 In response to a viewer's request this week we're taking a look at the actor John Comer, who played Sid in Last of the Summer Wine. One of five children, Comer was born in Lancashire in 1924. During the World War II he was one of England's 48,000 young men conscripted to work in the coal mines. Known as the Bevin Boys, after the wartime Minister of Labor and National Service Ernest Bevin, the conscripts performed a much needed service to the war effort when coal supplies dwindled to just a month's worth, as most of the country's young miners left the mines to join the armed forces. In I'm All Right Jack. After the war ended, Comer became an engineering apprentice in Manchester, alongside his younger brother Tony. Both brothers teamed up again in the 1950s when they began performing as a comedic double act at the Manchester Apollo Theatre. In 1958, they began working, as so many comedians of their time, at the hugely popular Butlin's holiday camp, which lead to them winning £1,000 in the camp's National Talent Contest and a film contract starring alongside Peter Sellers and Richard Attenborough in I'm All Right Jack. 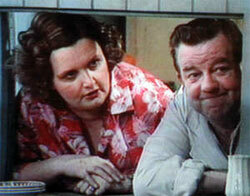 In the film the pair played trade union shop stewards. The pair were also cast in 1961 in A Taste of Honey, starring Rita Tushingham. Not long after, Tony decided to quit show business and return to the electrical engineering company. His elder brother, though, continued to make films and in 1967 was cast as Hayley Mills' father in The Family Way. Comer with actress Jane Freeman. 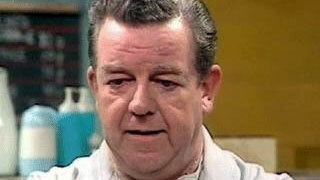 Comer starred in his last film in 1973, after which he moved over to television when he was cast in a recurring role in what was a new BBC sitcom, Last of the Summer Wine. Life in the Holmfirth based series didn't prevent Comer from taking on other television work, namely another recurring role as the Police Sergent in Murder Most English. Comer stayed with LOTSW until his death in 1984 at the age of 59 from throat cancer. Comer's last episode was in the Christmas Special, Getting Sam Home, but the cancer had so affected Comer's voice that his lines had to be dubbed over by another actor. Comer was cremated in Blackpool. You can see Last of the Summer Wine weekdays at 1:30pm.